and my soul has a need to discover the words other people write. I read for the same reason I write. I have to. My own imagination is vivid. I have worlds inside my head, and dreams that need to escape, and these are the very reasons I read. If I have these amazing visions in my head that need to breakout onto paper, then I want to read the imaginations of those around me, I want to know their stories too. As a writer and author the reasons people read fascinate me, for several purposes: firstly, I’m curious, and perhaps a little nosy! Secondly, as an author, I want to write books people want to read; and thirdly, it’s a subject that seems to divide. I asked my family and got different responses. My son only used to read short fiction because it was easy and he struggled with a tendency towards dyspraxia and dyslexia. My husband reads about things he’s interested in, ‘both fact and fiction’, and both my daughters read ‘to escape reality’, and ‘to escape into another world that’s better than this one.’. I’ve got friends who love biographies, but not fiction, others who want to read to learn, and some who read just for the sake of reading. Some readers want absorbing stories but shy away from horror or sorrow. There are others who yearn for an emotional response, who need to commit and feel the emotion; those who want to be scared by horror, or weep amidst a tragedy, and whoop with delight as characters rise and triumph, and some who just need to escape. 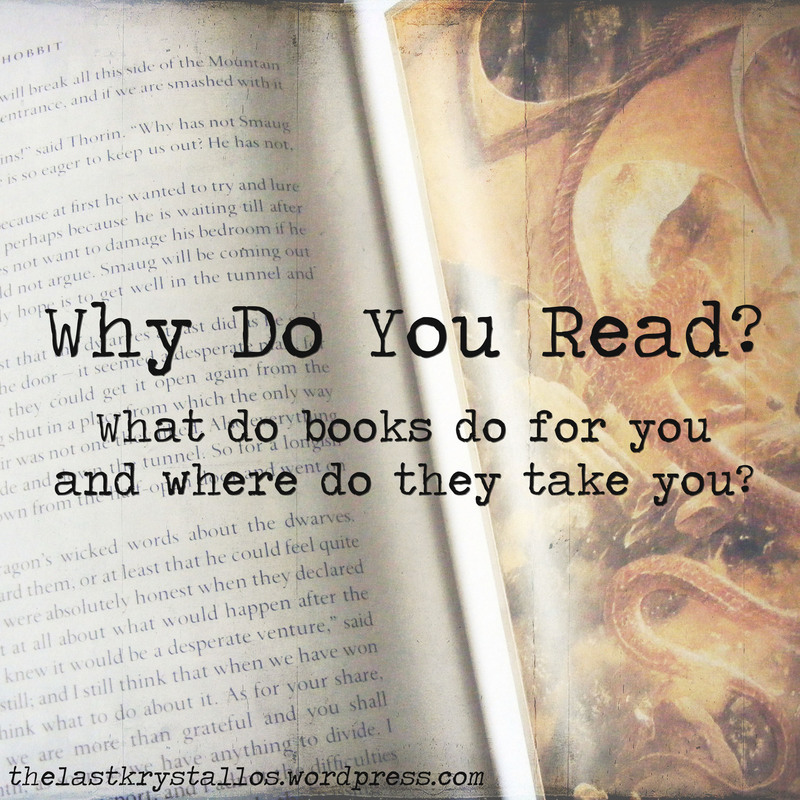 So, I thought I’d ask you, the reader – why do you read? Lastly, why do you read the books you do, do you choose because you love a specific genre, or author, or do you love an eclectic mix? Do you stick to traditionally published works, or love to discover more from up and coming indie authors? What books sit side-by-side upon your bookshelf? Tell me the books that have affected you the most, and tell me why you love them! This entry was posted in Authors, Books, Fiction, Writing and tagged amreading, books, fiction, journey, love books, non-fiction, poll, read, reading, vote, why do you read on 1st July 2015 by Lisa Shambrook. Lol…so many books so little time! The reader and writer lament! I felt the exact same way when I read The Time Traveller’s Wife, I don’t often get book hangovers but that was one! The movie was yet another that disappointed me so much and they changed the ending (oh, why do they change endings so often??) …but, I don’t think they should have tried a movie, it just didn’t transfer. I read to learn, to experience, to feel, to escape, to immerse myself…it’s something I have to do.